The Australian Career Network (ACN), an ASX-listed private training provider, is under intense scrutiny, as several of its subsidiaries are sanctioned for rorting government funding and exploiting students. 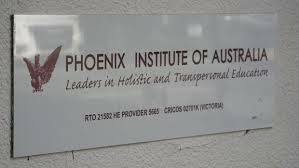 The Phoenix Institute, which enrols students through the VET FEE-HELP scheme, has been given notice by the Australian Skills Quality Authority (ASQA) of ASQA’s “intention to cancel its registration as a provider of vocational education and training and educational services including to overseas students”. Phoenix has 21 days (until 4 November) to make a case to ASQA that its registration not be cancelled. It is claimed that Phoenix had employed dozens of sales people, many working door to door, to enrol vulnerable people, including drug addicts and those with intellectual disabilities, online diploma courses they would never complete, with the inducement of free laptops. Each new student signed up generated an $18,000 government payment to the college, and a debt for the student. This included Euroa couple Arthur and Jacinda Eastham, who both have intellectual disabilities, live in a housing commission and were targeted by a Phoenix salesman. In late April he knocked on their door and enrolled Jacinda in a diploma in early childhood and education, despite her case worker telling him she had an intellectual disability and was unsuitable. ASQA said it had acted following comprehensive regulatory scrutiny of Phoenix over a number of months, prompted by complaints received from students. The investigation had “uncovered significant non-compliance” with the standards expected of nationally registered training organisations. Separately, the Victorian government cancelled its Victorian Training Guarantee contract with another Australian Careers Network entity, the Australian Management Academy, after “an independent review”. The state’s education department is also investigating three other colleges owned by Australian Careers Network – COVE Training, Heron Assess and Smart Connection Training. There are 1,688 government funded students enrolled at AMA who are affected by the termination of AMA’s VTG funding contract. The government said it will support them in transitioning to a TAFE institute if required, in order to complete their training. ACN is part of a fast-growing private vocational education industry, which has seen debt rising from $25 million in 2009 to $4 billion today.